When I was 12 years old I used to watch television at my grandmother’s house every night. This was back when satellite dishes weren’t as popular as today, so not many people owned them. One night in early August I was returning home with my dog when all of a sudden he started barking. He was the type of dog to bark at anything and everything, so I didn’t take notice until he started jumping up and down barking his head off. I glanced up at the sky and my mouth immediately fell open. 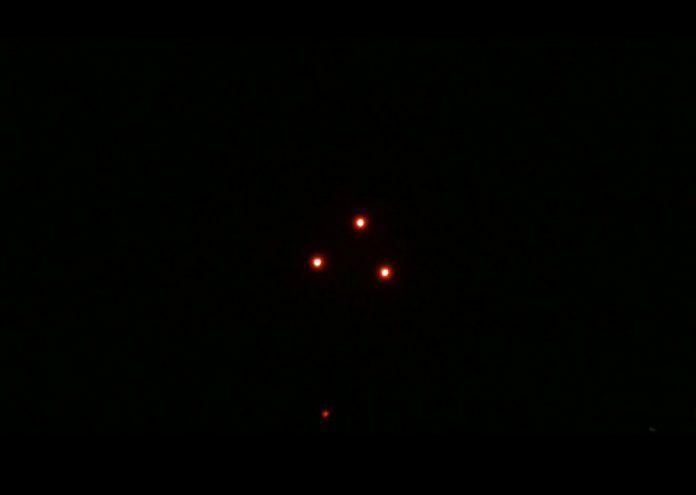 Hovering over the mountain opposite my house was a medium sized, triangular UFO with an orange glow all around it. I started running towards my house yelling for my mom and sister to come out and look, but as I ran, the UFO slowly without a sound began to glide over my house. My mom came out on the porch just as it went over the mountain. Every time you see a picture of a UFO on TV it’s just lights or the outline of a disk, but what I saw was very visible and the whole thing was lit up. I swear to god and with all my life that this really happened and that the UFO was something out of this world. The very next day a local newspaper had an article about people reportedly seeing it. After that night I talked about it every day for at least 2 months and I’d give anything I own to see it again.